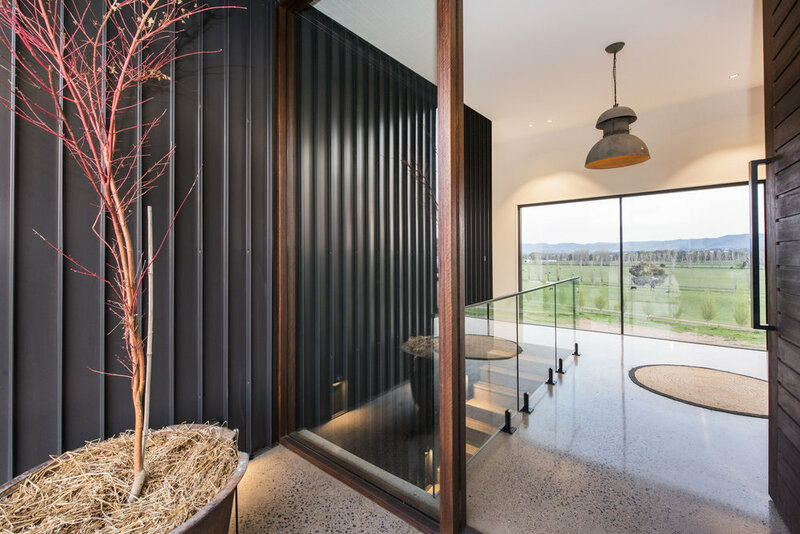 CAARCH were engaged to design a new dwelling for a young family in a Suburban context with commanding Southern views back towards Mudgee. A passive solar home that maximises it’s street frontage sits independently of its typical residential context, unashamedly taking in the Northern light and opening up to the street. Photographer: Amber Hooper from Amber Creative.